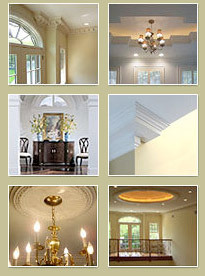 One way to really bring your room to life is to install architectural details on your ceilings. Treating the ceiling as the fifth wall, ceiling rosette includes a stylish floral design with the fine details and beautifully crafted depth that adds dramatic style to any ceiling. One of the least time-consuming projects is the installation of ceiling rosette that can transform any room into a house of art. Our rosettes are made from polyurethane and other composite materials to bring out the best in you and your project. You are limited only by your imagination! Feel free to combine different Ceiling Rosettes to create something uniquely yours At Lancrest Moldings®, you will find a wide range and designs of ceiling rosettes that will enhance the overall appearance of your dining room ceiling. 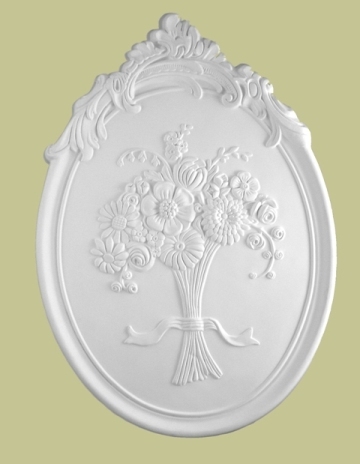 We carry a line of delicately detailed and intricate ceiling medallions, rings, and decorative rosettes. 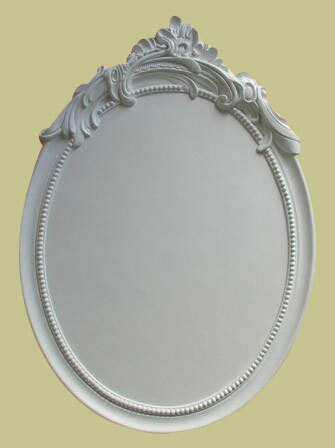 The rosettes available on our website are lightweight, durable, cost effective and easy to hang. Provincial Bouquet - 28 x 20"